Who is writing the TPP? Congress is in an intense debate over trade bills that will shape the course of the US economy for decades. Much of this debate has been characterized as a fight over whether international trade itself creates or destroys American jobs. There is, however, another major concern — that modern “trade” agreements are often less about trade and more about giant multinational corporations finding new ways to rig the economic system to benefit themselves. Hillary Clinton has said that the “United States should be advocating a level and fair playing field, not special favors” for big business, in our trade deals. We agree with this blunt assessment – and believe every member of Congress should consider this carefully before voting to help advance these agreements. Advocates of the pending Trans-Pacific Partnership, a massive 12-country agreement, sell this proposal as a free trade deal — but the United States already has free trade agreements with half of the countries at the negotiating table, and only five of the treaty’s 29 draft chapters reportedly deal with traditional trade issues. While reducing traditional barriers to trade with countries like Japan will facilitate some international commerce, the TPP is about more than reducing tariffs. The president argues that the TPP is about who will “write the rules” for 40 percent of the world’s economy — the United States or China. But who is writing the TPP? The text has been classified and the public isn’t permitted to see it, but 28 trade advisory committees have been intimately involved in the negotiations. Of the 566 committee members, 480, or 85 percent, are senior corporate executives or representatives from industry lobbying groups. Many of the advisory committees are made up entirely of industry representatives. A rigged process leads to a rigged outcome. 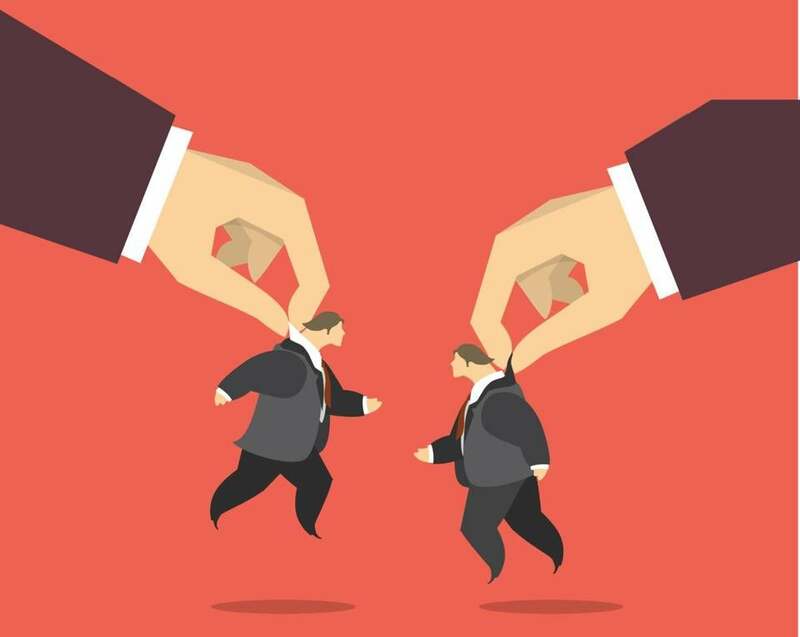 For evidence of that tilt, look at a key TPP provision: Investor-State Dispute Settlement where big companies get the right to challenge laws they don’t like in front of industry-friendly arbitration panels that sit outside of any court system. Those panels can force taxpayers to write huge checks to big corporations — with no appeals. Workers, environmentalists, and human rights advocates don’t get that special right. Most Americans don’t think of the minimum wage or antismoking regulations as trade barriers. But a foreign corporation has used ISDS to sue Egypt because Egypt raised its minimum wage. Phillip Morris has gone after Australia and Uruguay to stop them from implementing rules to cut smoking rates. Under the TPP, companies could use ISDS to challenge these kinds of government policy decisions — including food safety rules. The president dismisses these concerns, but some of the nation’s top experts in law and economics are pushing to drop ISDS provisions from future trade agreements. Economist Joe Stiglitz, Harvard Law professor Laurence Tribe, and others recently noted that “the threat and expense of ISDS proceedings have forced nations to abandon important public policies” and that “laws and regulations enacted by democratically elected officials are put at risk in a process insulated from democratic input.” That was exactly what Germany did in 2011 when it cut back on environmental protections after an ISDS lawsuit. Congress will soon vote on whether to enact “fast-track” authority to grease the skids for the approval of the TPP and other upcoming trade deals. Clinton has called for trade agreements to “avoid some of the provisions sought by business interests, including our own,” such as ISDS. 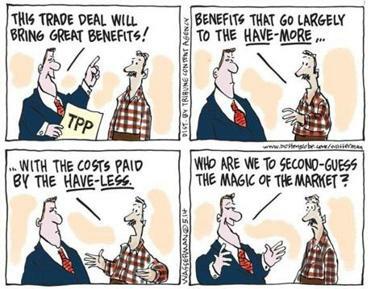 By definition, massive trade deals like the TPP override domestic laws written, debated, and passed by Congress. If fast-track passes, Congress will have given up its power to strip out any backroom arrangements and special favors like ISDS without tanking the whole deal that contains those giveaways. We will have also given up our right to strip out whatever other special favors industry can bury in new trade agreements – not just in the TPP, but in potential trade deals for the next six years. Treasury Secretary Jack Lew has testified before Congress that trade negotiations involve “pressure to lower standards” on financial regulations and other public interest laws, and that President Obama has resisted that pressure. But Obama will soon leave office, and he cannot bind a future president. We hope he is succeeded by a Democrat, but if not, this legislation risks giving a future president a powerful tool to undermine public interest regulations under the guise of promoting commerce. Powerful corporate interests have spent a lot of time and money trying to bend Washington’s rules to benefit themselves, and now they want Congress to grease the skids for a TPP deal that corporations have helped write but the public can’t see — and for six years of future agreements that haven’t even been written. Congress should refuse to vote for any expedited procedures to approve the TPP before the trade agreement is made public. And Congress certainly shouldn’t vote for expedited procedures to enact trade deals that don’t yet even exist. Elizabeth Warren is a US senator from Massachusetts. Rosa DeLauro is a US representative from Connecticut.